My Facebook friend published his first book recently to indulge his 47th birthday. Writing has always been his hobby, but never his career. The book was produced from his chronologically compiled self-written articles that he posted on Facebook. Surprisingly, his first print of 5000 copies sold out even before the book hits the bookstores. How did he make it? Thanks to Facebook, the same social media site where he has been posting his articles; it is also used as a marketing platform where he sells his books. He ecstatically shared an incident where the bank froze his bank account momentarily until further explanation was given as to why a sudden surge of remittances from all over the place happened in his account. In the past, as an amateur writer, there was no way you could collect pre-orders to justify whether or not to publish a book. Let alone to convince a publisher to put your work on to print; many of them ended up forking out their own cash to fund the publications. Other challenges were to get the book dealer to distribute your books and the bookstores to display them. Not only that, you may find your book sitting helplessly and timidly on the shelf among the bestsellers, do you have extra dollars to churn out for advertising and promotion? However, at present time, who doesn't have a vast pool of real and virtual friends on Facebook? 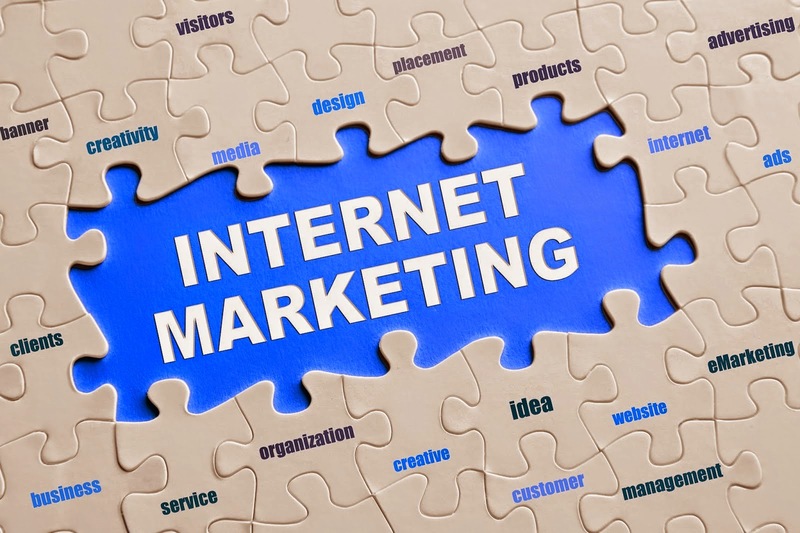 This resource can easily be tapped onto to engage in sales and marketing. When my friend sent the book out to his readers, they tagged him with the picture of the book that had safely arrived; it became a viral post that boost the sales even more. And, this was not an isolated case; I have a few other amateur writer friends who shared the same success story. 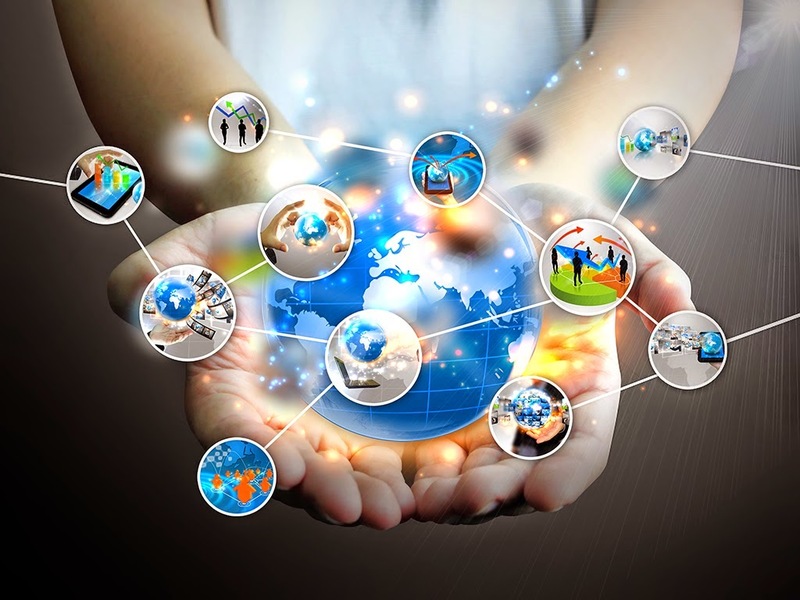 Internet technology has changed the way we think; the life we live; the business we run, and push the limited resources in the past to almost limitless at present. How does one make use of the Internet resources? Can someone teach us and give us some guidance? YES and NO. The Internet world is still full of continuously evolving concept and technology; you just have to open your eyes. My strategy to build an Internet ecosystem in our business operation is very simple - when things can be done the Internet way, just go for it. That is why we are more Internet savvy than our competitors. And fuzzy logic is applied in Biometrics system; the same trial and error concept can be applied to clear the blur, to get a certain end result. Just like when we started our new Software as a Service (SaaS) business, TimeTec Cloud, I told the Cloud team, we can adopt the system from FingerTec, but from what we have learned so far, the ecosystem seems laggard and insufficient. A cloud service needs a deeper Internet thinking; for example business intelligence derived from Big Data and etc. We have to explore the missing components, add to our system and enhance it even in blind sometimes, but it is still better than not trying anything. TimeTec Cloud User Video Guide is Now Available! For the uninitiated, TimeTec Cloud is our widely-acclaimed cloud-based time & attendance solution created by placing the priority of an organization’s need for a convenient system in mind. TimeTec Cloud aims to reduce costly administrative overheads by eliminating manual timecard calculations. Apart from that, TimeTecCloud also plays an active role in minimizing support and labor costs as storage of all data from your terminals is managed, maintained, and monitored by our TimeTec Cloud servers. Just click on the video and learn away! Apple. Maggi. Adidas. Coca Cola. Just by the mention of their name or a glance at their logos and you would know their branding, the products and services they offer and their taglines by heart. These brands are after all, the archetype of success. It is impossible to go around anywhere without encountering any of these brands at least once a day. From billboards to the short Youtube ads shown before any video, these brands percolate into our daily lives and subconscious mind. It is every advertising agency’s dream to represent these brands under their account. The inclusion of these brands under their portfolio may not only serve as a form of accolade but also as a method of validating their capabilities to the eyes of the world. What links them all together? What do these four iconic brands have in common? Apart from being raking in millions of dollars in earnings each year and fortifying their position in their respective industry by either staying at the top as the market leader or overtaking competitors by executing their carefully-formulated business strategies, there are also a few other traits that separate them from the rest of the brands that have tried to succeed similarly. 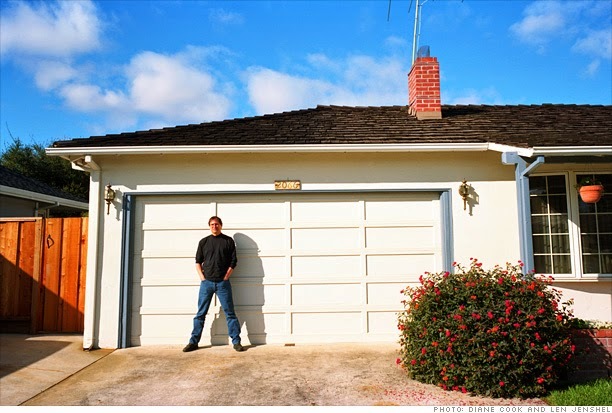 Steve Jobs and Steve Wozniak, the brains behind the legendary Apple, started building high functioning and sophisticated personal computers from a garage. Maggi was born after Julius Maggi took over his father’s mill and started producing food to improve the nutritional intake of worker families. Adi Dassler, the creator of the brand Adidas began producing sport shoes in his mother’s kitchen. Dr John Stith Pemberton first introduced Coca-Cola to the masses at his local pharmacy. So that makes it: garage, mill, kitchen and pharmacy, in that order. All these brands are born in places where you least expect miracles to happen but that doesn’t stop them from happening to people at all. Earning $45.6 billion annually, Apple started from this. 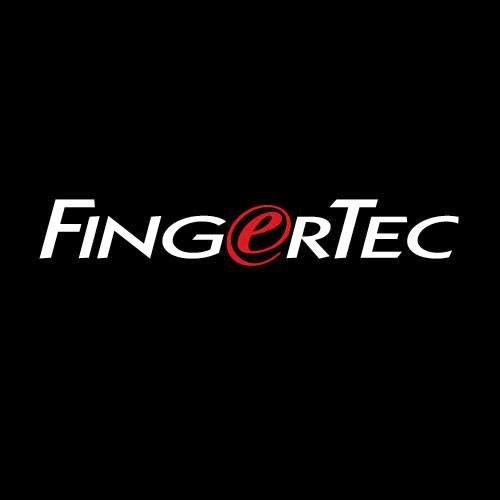 How FingerTec ties in : The FingerTec brand began in the year of 2000 by an ambitious visionary who had watched the nation in its heydays of mining and agriculture. At a time when the idea of biometric technology is limited to science fiction flicks (Mission Impossible and Minority Report, anyone? ), FingerTec has accepted the challenge and brought it to life. In the eyes of the world, our main offerings are tin, palm oil and rubber. All that has changed from that instance and it can be said that we are the pioneers of advanced technology specializing in field of biometrics for time attendance and access control. Heeding the nation's call to pursue the ICT industry! The take home lesson: Be it a new reseller who is just testing waters by discovering the features and functions of biometric readers to a seasoned distributor who has years of experience in the time attendance and access control industry, everyone will start out from somewhere but in order to make it to the top, you must first start from the bottom. The products produced by Apple, Maggi, Adidas and Coca-Cola are items that are readily available in the market. Motorola conceived the first handheld mobile phone in 1970. Nissin invented instant ramen in 1958. J.W. Foster and Sons designed and produced the first running shoes in 1895. Joseph Priestly made the first publically acclaimed glass of drinkable carbonated water in 1767. As you can see, all these inventions are made by someone else beforehand. What we can observe is how these creations which are then deemed as normal everyday items have been revolutionized into something that is synonymous with the lifestyle of 21st century. While Apple has first made it’s comeback through a line of portable media players (iPod and iTouch) in 2001, it is nothing compared to the massive success that the organization has achieved when they released the 1st generation of iPhones in year 2007. The same goes for Maggi, their instant noodles are a hit in Malaysia and India thanks to their variety of flavours which has experienced localization such as curry and asam laksa, apart from the usual offerings of chicken broth. Adidas had developed their niche in running and soccer shoes before expanding their line to include athletic apparel, sports equipment and accessories. 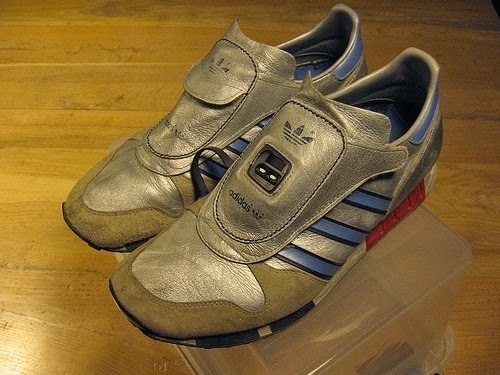 One of the ideas that Adidas had which was ahead of their time was the Micropacer, which involves putting a computer in their shoe to track an athlete’s performance statistics. As for Coca-Cola, it was first marketed as a ‘brain tonic’ and ‘temperance drink’, claiming to cure headaches and anxiety. Fortunately, in 1963, it has steered far and away from its medicinal livener days and has improved market segmentation strategies by developing more unique products to appeal specific groups. Hence, the introduction of caffeine-free Coke and Diet Coke to attract soda drinkers who wish to reduce their caffeine intake. How FingerTec ties in : When FingerTec received their first million to develop the first ever fingerprint reader in Malaysia, FingerTec could have stopped and pat themselves on the back once the reader is readily available in the market and move on to focus on the manufacturing, marketing and logistics aspect of the business. Instead, FingerTec recruited more talents and extended their research in the advancement of biometric technology as they pursue to produce and deliver products that will be highly beneficial to the commercial sector of the industry. Their plan to diversify has paid off as apart from fingerprint readers, FingerTec is now known for their sophisticated face recognition attendance models such as Face ID 4d and user-friendly cloud-based attendance solution such as TimeTec Cloud. The take home lesson: When others are already in the market selling the similar goods, try to discover a way to distinguish from the rest. For resellers and distributors, get ready to approach others and offer them a unique selling point that they can’t resist. For example, marvel them with the wonders of TimeTec Cloud and show them how a cloud-based attendance system can transform their workforce. The concept of TimeTec Cloud may sound complex and foreign to clients at first but once you have piqued their interest by highlighting the advantages such as the minimization of data and human error, the low subscription fee for only USD2per month, clients are more likely to follow suit and agree with the proposal provided by you. NPOs get discounts too! How cool is that? In addition to that, you may inform them about FingerTec’s user support site and their dedicated multilingual after sales support and technical team. You may need to explain our products with a PowerPoint presentation materials but feel free to interject with some success stories to get potential clients to understand how certain products may benefit them. “So, the era of setting this up as a competition between Apple and Microsoft is over as far as I'm concerned. This is about getting Apple healthy, this is about Apple being able to make incredibly great contributions to the industry and to get healthy and prosper again.” True enough, the audience immediate reaction was to jeer at Job’s explanations and it took Apple more than a decade along with a few good products (Final Cut Pro, iPod, iPhone and iPad) before the public placed their confidence in Apple’s promise. Suffering from the same fate, Adidas experienced near bankruptcy after the Dassler family has passed on and it is through Robert Louis-Dreyfus, a French businessman’s faith in the sport shoes brand that has revived the brand even when he could have chosen to rescued other far more lucrative businesses with his expertise. One of Adidas’s most memorable slogan from 1974, ‘Impossible Is Nothing’ serves to strengthen the brand’s philosophy and is used for nearly 3 decades as it embodies the vision of the company perfectly. Maggi and Coca-Cola have experienced the same treatment too when others have questioned on their nutritional value and the notion that they will never replace the role of traditional meals and drinks. After all, ‘sugared water’ and ‘2-minute noodles’ is not exactly the most popular food and beverage choice in the 80s whereby local fare is still the mainstay for any household. These brands had fought their wars carefully by implementing public relations campaigns to educate the community on their products as well as to address the issues that have been targeted towards them. For instance, Maggi had constantly gathered traditional recipes and came out with an index to show the public how they can incorporate their products in any occasion. 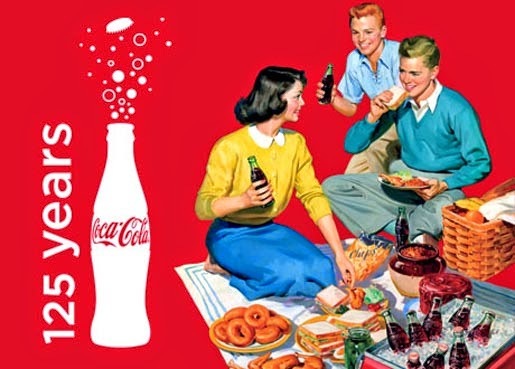 Coca-Cola, on the other hand, had emerged with the game plan of creating advertisements that portray any festivities or celebrations is never complete without a bottle of Coca-Cola in hand. These strategies had definitely paid off as their success in overturning the odds have silenced those who have doubted them before. How FingerTec ties in: After 4 years of surviving in the biometric reader industry, FingerTec experienced a snag in 2004 with a number of hardships ranging from a high number of return rate to staff resignations. It is the usual norm for organization to cut their losses and move on to the next project but FingerTec soldiered on and continued believing in the dream of delivering products of excellent quality and impeccable service to their potential customers. Though the execution of a new sales strategy and constant product innovation, FingerTec had risen like a phoenix from the ashes, trailblazing through the past lapses and revitalize itself, stronger than ever. The take home lesson : Confidence, resilience and faith is the key to success. For resellers and distributors who may be going through a rough patch, remember that one must have patience and carry positive thoughts when it comes to dealing with such situations. While TimeTec Cloud may be deemed as an idea that is ahead of its time, it does not mean that we should be afraid of its capabilities. As a matter of fact, we should embrace the future of cloud computing and believe in the endless possibilities that one stand to gain from adapting it into their daily lives. Our microsite is made to assist you! Quoting Mahatma Gandhi ‘Strength does not come from physical capacity. It comes from an indomitable will.’ Once again, we would recommend reading FingerTec’s annual magazine or newsletters for success stories to keep the fighting spirit alive. Sharing stories with others through the network is also a sure-fire way of strengthening your principles and resolve. Need more inspirational stories? Feel free to browse through our blog for a number of interesting anecdotes and marketing tips contributed by our CEO, COO and fellow staff members. We assure you that the content that has been curated will be worthy of your time and effort. About the Author : Ruxana Ridzuan is a fourth generation Java-Chinese, third wave feminist turned copywriter. Occasionally seeks inspiration from innovative user-generated content and is a habitual flashpacker.